So, I actually was going to make a totally different sparkling water this week, but alas, I didn’t have one of the main ingredients that I needed. My heart thought I had it. My brain thought I had it. But when I went to make it, my cabinet definitely did NOT have it. So, instead, I grabbed some vanilla and orange extract to test this one out and I LOVED IT. 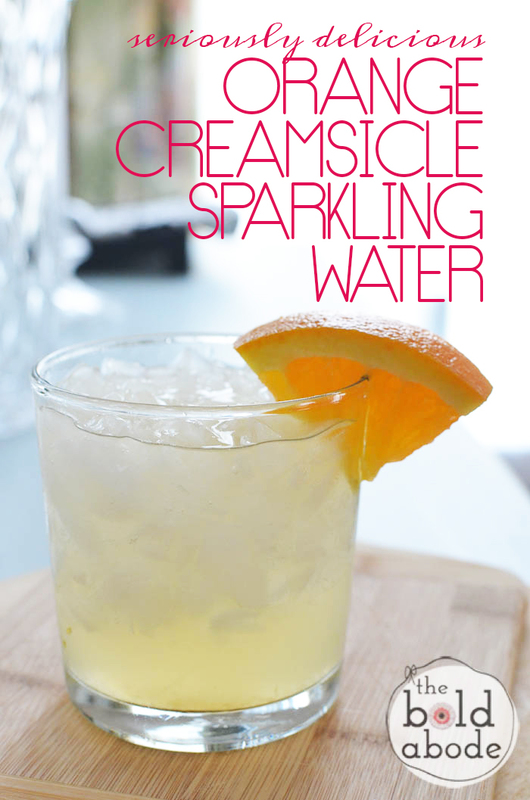 So, I give you, Orange Creamsicle Sparkling Water. 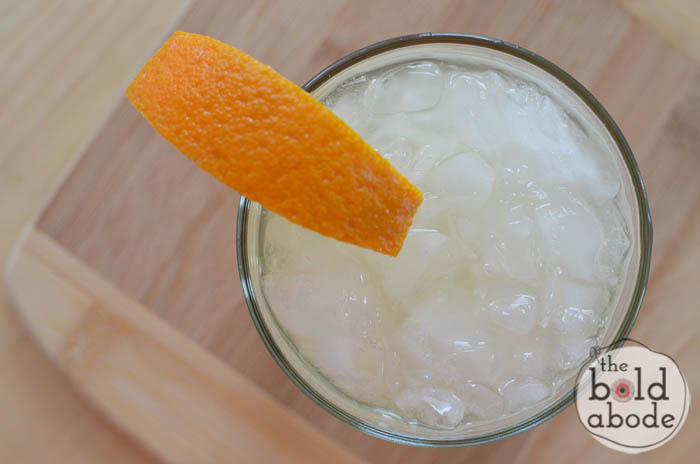 A simple orange and vanilla sparkling water for summer! Add vanilla and orange extract. Add sparkling water and stir. If desired, squeeze orange slice into water or use for a garnish. I said last week that the Watermelon Lemonade Sparkling Water was my favorite. I may have a new one now! Make it and tell me what you think! You are speaking my language! I love orange creamsicle ANYTHING! Ummmm, you are a drink genius. Trying this today! I hope you like it! It’s one of my favs! Could this be made in a dispenser for a party? How much orange get extract and vanilla would you use? Thank you for your help, it sounds do so refreshing! I’m sure you could, but I’ve only ever made it in a glass! Wish I could be of more help, Vikki!